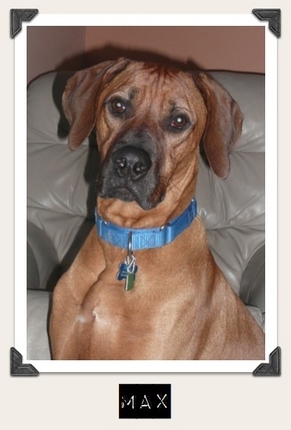 Rhodesian Ridgeback, Revodana Rhodesian Ridgebacks Quiz! Everyone loves a baker's dozen, especially when the subject is Krispy Kremes. Problem is, you pay for your few minutes of sticky-fingered indulgence with a very incompliant waistline. While you'll have to go elsewhere for your sugar fix, here’s a different baker's dozen: 13 questions on the Rhodesian Ridgeback. And unlike a jelly doughnut, the only thing this quiz should leave you with is a better understanding of our versatile African hounds. 1. The Rhodesian Ridgeback's progenitor was a ridged, jackal-like dog that accompanied which African tribe? 3. 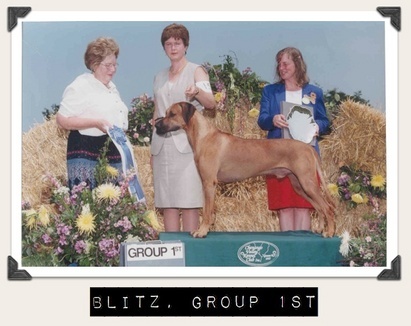 Which of the following breeds was not used by van Rooyen in the development of the Ridgeback? 4. When the Ridgeback standard was first written in 1922, it borrowed heavily from the standard of what other breed? 6. 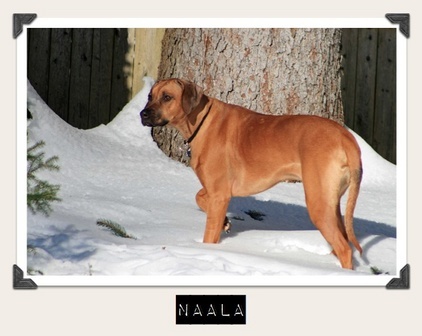 Which of the following is not described in the Ridgeback's AKC standard? 7. In what is arguably the seminal work on the breed, "The Rhodesian Ridgeback," author Major Tom Hawley compares the Ridgeback's role in baying a lion to what human occupation? 10. According to health and genetics surveys compiled by Rhodesian Ridgeback Club of the United States, which of the following conditions is most prevalent in the breed? 11. Because of its versatility, the Ridgeback has been classified differently by dog registries across the world. 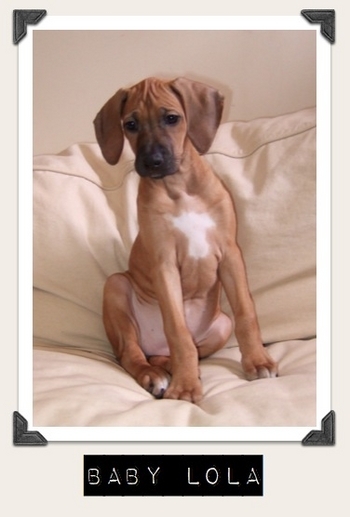 Which category has the Ridgeback not been grouped in? 12. Which of the following activities are Ridgebacks unequivocally not suited for? 13. Which of the following complaints are sometimes expressed by exhibitors in the conformation ring? This quiz by Denise originally appeared in the May 2003 issue of the AKC Gazette. It may not be reprinted or reproduced without the author's express written permission.